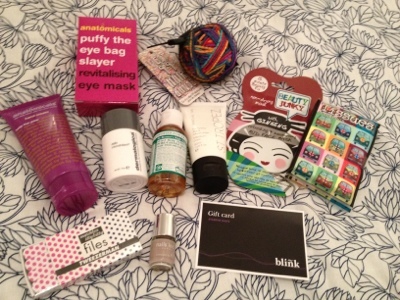 This week Selfridges released their much anticipated lucky bags. 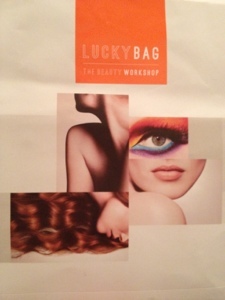 A limited edition of 1,000 lucky bags each containing a minimum of 5 products from their beauty workshop, they cost £15 and you had no idea what you would receive. When I woke up to an email Wednesday morning that they were available to buy, I quickly logged on and bought two, the second one was to be split up for Christmas stocking fillers. They arrived on Thursday (kudos to Selfridges on the quick delivery), and I ripped them open excitedly. All in all, I was quite pleased with what I received. The brow shape voucher definitely redeemed these lucky bags for me and without this I might have felt a bit disappointed. I've seen the contents of some other people's and they were less impressed. I'm glad I bought them, but I'm not sure I would be rushing to do it again without knowing what's inside. I can't believe they gave you tissues... that's a bit bad haha. ha ha, i know. not sure why they were in there! Those two plus the crazy hair band ball are my favourites. Selfridges said that some items would be full size, and some would be trial size. They also said that the value exceeded £15. Umm, without the voucher I think they would have been exaggerating a bit. True. If i hadn't received that i would have been a bit miffed, considering i bought two bags! I think the bags just scrape in at £15 (more for the one with the brow voucher), but not as good as i (or anyone) was hoping for! They look fun to try! how did puffy the eye slayer work out? I haven't tried it yet, but it looks pretty similar to previous ones i've used. It's also pretty cheap and retails for about £3.49, so a bit of a bargain. I see you got the tissue too! I bought two bags do laid them out together above. 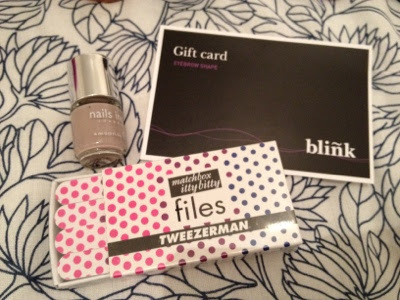 The one with the brow voucher in definitely made it worthwhile for me, but they still weren't quite what I was expecting.